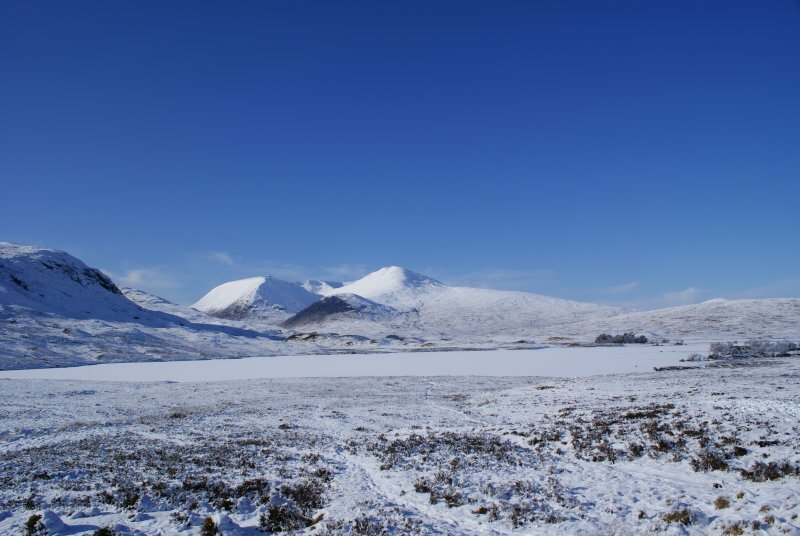 On the NE slopes of Meall a' Bhuiridh lies the White Corries Ski Centre and consequently the slopes are cluttered with ski lifts and tracks high on its slopes. In fact you can get close to the summit by ski lift in winter. 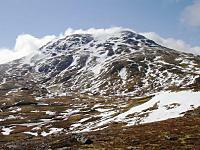 In summer, an ascent of Meall a' Bhuiridh should be combined with its impressive neighbour Creise to which it is connected by a col on its SW ridge. To ascend Meall a' Bhuiridh, follow the Allt nan Guibhas into the Coire Pollach then follow the N ridge to the summit. 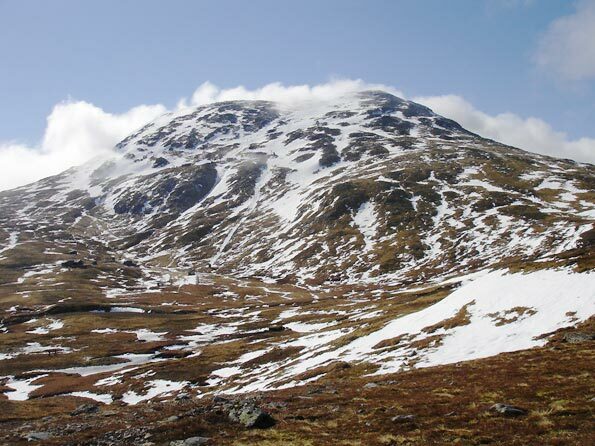 The northeastern flank of Meall a' Bhuiridh, March 07. 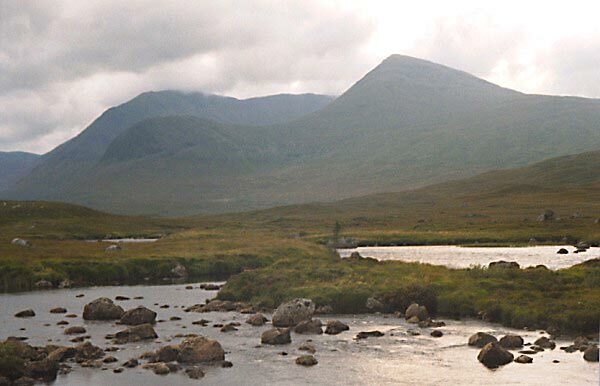 Meall a'Bhuiridh (right) with Clach Leathad behind, seen from near the A82 bridge over the river Ba on Rannoch moor. Looking back along col to Meall a Bhuird. The much nicer side of this mountain. 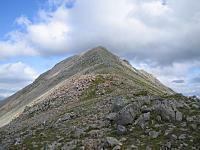 The summary information of one or more ascent routes that include Meall a' Bhuiridh. 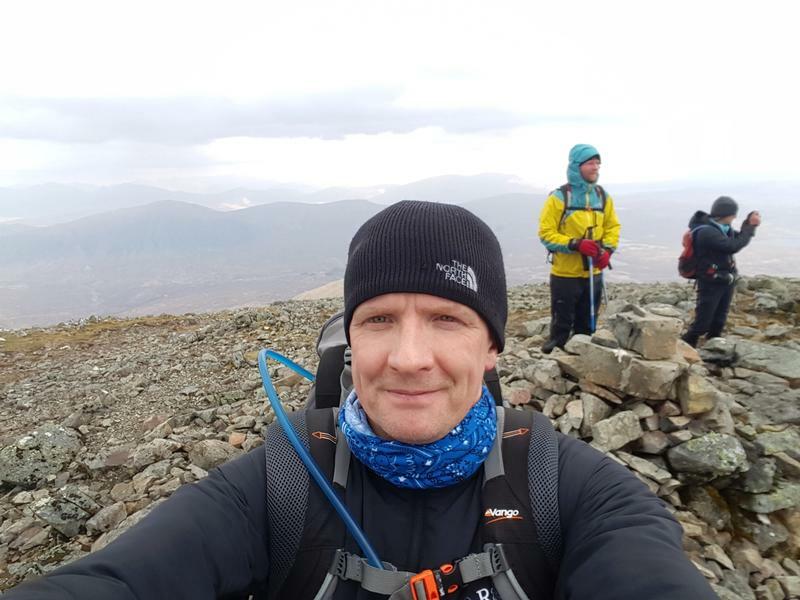 Post a few words about Meall a' Bhuiridh or read what others have had to say. Decent route over two Munros. Scramble up unto Criese ridge is an easy climb with no real exposure and no big drops on climb. We contoured around Meall a' Bhuiridh from belalach instead of climbing over it on return route but wouldn't recommend it as scree was very lose and steep in places. Enjoy! slog on the way up on deep snow, reckless glissading on the way down. Black Mount Estate 01838 400 255; permitted route during stalking 1st August to 20th October 2007, including weekends. From ski centre up the north ridge and continuation to Creise. 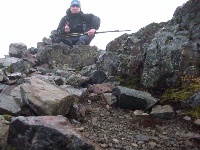 Climbed Meall a' Bhuiridh on 11th june with some friends from found it to be quite easy even for my first Munro , coming down over all the loose boulders and scree was quite tricky. 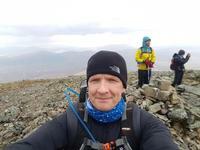 Scorching sun all the way up and down with some great views of Ben Nevis can't wait till the next one. This was my first munro and it was great and was made all the better as I done it as part of 3 teams from Soapworks in Glasgow who took part in the Wateraid challenge to cover all Munro peaks simultaneously on th 11th june 2005 so as to raise money for charity and even better still the challenge was recognised by Guiness as an official world record so to be part of a world record on my first munro was truly amazing and I now look forward to bagging my next munro in the very near future.